Most of us attempt to fix a plumbing issue at home, whether out of pride by knowing we can do it ourselves or simply because we don’t want to pay for a contractor. However, some problems require the help of a plumber to avoid causing further damage and spending more money instead of saving it. These include having major installation work at home such as sewer line replacements. The usual cost for such projects range between $1,069 and $4,069 in the U.S. If you live in Utah, for instance, the cost of plumbing in St. George may be cheaper than in Salt Lake City due to factors such as the higher cost of living in bigger cities. Sewer line replacements commonly entail a huge budget, so it’s best not to think about embarking on one by yourself. The location of the sewer will be a primary factor for determining the overall price of a replacement. If it extends from your house into the street, a lateral replacement may cost at least $3,000 without the cost of trenching and removing old pipes. A damaged sewer line located in the basement would have to cost around $600 for repairs, but in most cases, it does not cover the cost of replacing pipes under the basement. This usually involves cutting through concrete and could easily increase the bill because of the higher cost of labor. If you don’t want to dig up the ground on your home, a trenchless sewer line replacement is the best option. It costs between $50 and $250 per foot and you may choose a cured-in-place-pipe lining or trenchless pipe-bursting method. Most problems start small and eventually become worse either because of neglect or an improper fix. Repairs for burst or damaged pipes are an example. It’s hard to determine the exact location of pipes without the help of a plumber. Those who live in seasonal weather often discover leaks during the spring, as frozen water during the winter causes enlarged pipes that eventually lead to cracks. When you see the first signs of a burst pipe, call a plumber immediately since water damage can be expensive. Your home insurance may not accept your claim if you didn’t take the necessary steps to abate the damage. This should be obvious, but hiring a plumber protects your family’s health and safety. For instance, a DIY repair on blocked pipes can seem doable, but this increases the chances of exposing the household to sewage waste. You also run the risk of damaging the pipes in your neighborhood. 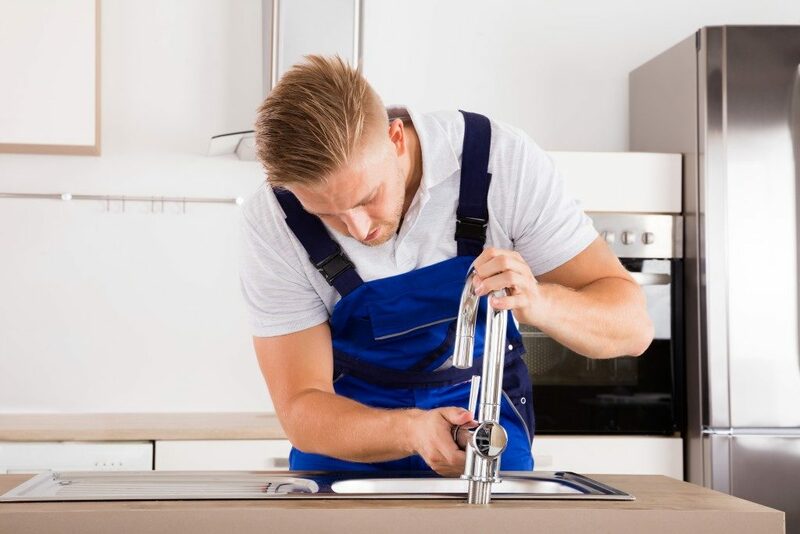 If you live in an apartment or condominium, the interconnected pipes should be a good enough reason for you not to be experimenting with a DIY repair. Even if you don’t seem to have any problems with your plumbing at home, it’s still better to call a professional to do a maintenance check on your house. This prevents you from spending a lot once a huge problem takes place. It also helps you to know and trust a contractor by seeing them regularly and in return, they may offer a discount when you need a major solution.